WASHINGTON, D.C. -- John McAfee, founder of McAfee Inc., the world�s largest dedicated security technology company, will speak at the NAB Show Technology Luncheon, held Wednesday, April 15 in Las Vegas. NAB Show is the annual conference and expo for professionals who create, manage and distribute media and entertainment across all platforms. 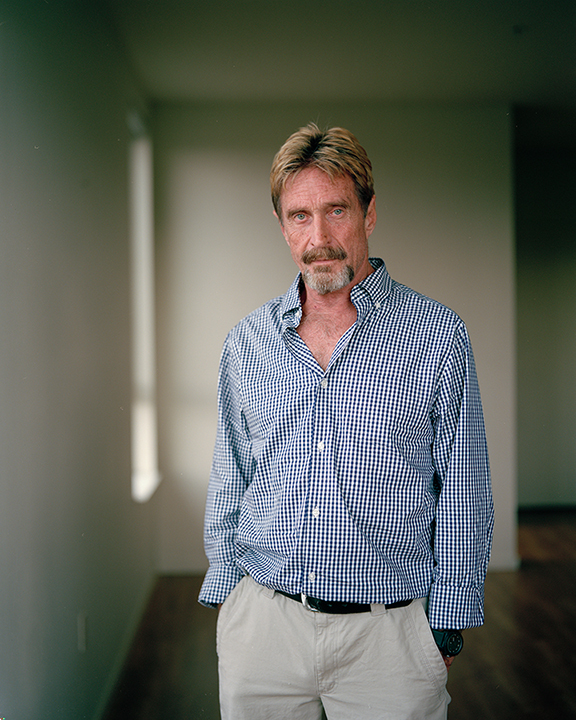 John McAfee pioneered the commercial antivirus industry when he formed McAfee Associates in 1987. The company was later acquired by Intel for $7.68 billion. He is considered one of the greatest, most outspoken and controversial minds on the topic of information security. At the luncheon, McAfee will discuss his views on the ever-changing media and information technology landscape and how to manage security threats faced by companies daily. He will also share his insights based on more than 20 years of experience working with companies such as NASA, Univac, Computer Sciences Corporation and Lockheed Martin. In a renewed effort to aid consumers in protecting their information and security, McAfee founded Future Tense Central in 2013. The company develops web and mobile applications that allow users to manage accessibility of their data and information. Examples include Chadder, a text message encryption application; D-Vasive, which allows the user to enable and disable various phone features with the swipe of a finger; and DCentral1, an auditing program that reveals which applications are leaking your private information. McAfee will also serve on a panel of experts at the NAB Show Super Session Protecting our Assets: Cybersecurity and the Media," held Wednesday, April 15 from 2:30-3:30 in room S222 of the Las Vegas Convention Center.